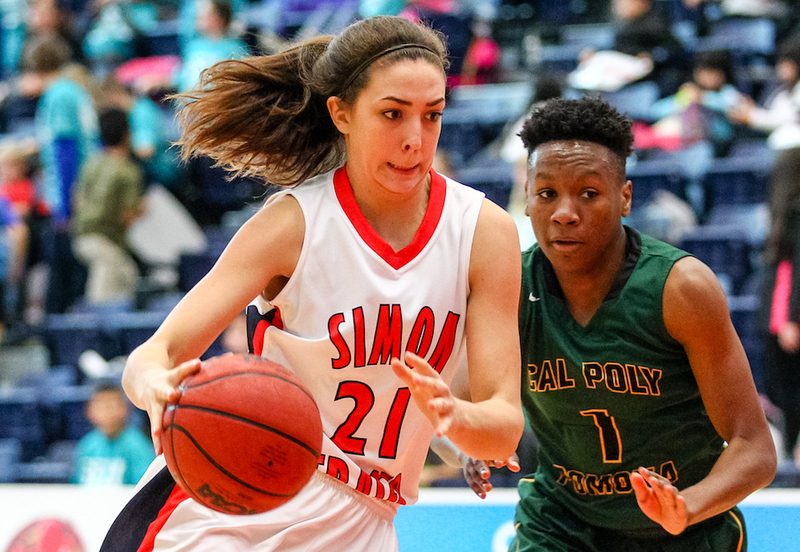 BURNABY —Humour me and play a game of connect the dots with the roster of the 2018-19 Simon Fraser Clan women’s basketball team. Start with the team’s most seasoned talent and finish with its least experienced. On first glance, happy coincidence. Yet upon further examination, as the pencil starts at one end with rising senior Sophie Swant and finishes at the other with incoming freshman Sophie Klassen, there seems to be so much more substance to this line of reasoning than a simple match of first names. Earlier this month, the Clan officially announced that Klassen, a 6-foot guard from Chilliwack’s Sardis Secondary, along with fellow 6-footer Justina Chan of Markham, Ont.’s Pierre Elliott Trudeau High School, would join Abbotsford’s Sienna Lenz, Sullivan Heights’ Emma Kramer and Argyle’s Georgia Swant as members of the program’s incoming freshman class. And while it goes without saying that comparing freshmen to seniors is the most foolhardy of exercises, the two Sophies are today being mentioned in the same breath if only to suggest that a numbers-challenged returning core could have done a whole lot worse than finding a young player who appears to be cut from the same cloth as its established senior leader. No great deception here. If you figured that these are quotes about each of the Sophies, you’re right. No. 1 came from my days at The Province newspaper and it was delivered in early 2015 by Argyle coach Anthony Fortunaso when I asked him what was most special about his 5-foot-11 Grade 12 Sophie Swant. No. 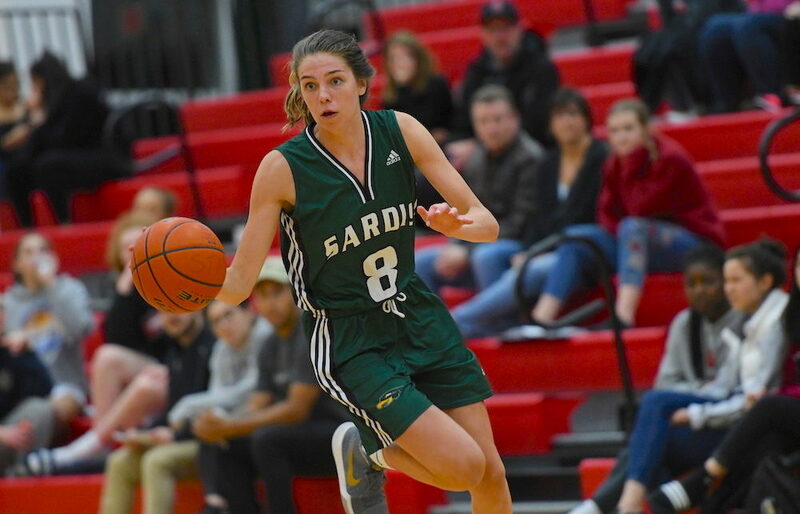 2 came last week from Simon Fraser head coach Bruce Langford when I asked him to talk about his incoming recruit Sophie Klassen. It’s important not to make more of this than is appropriate because Swant’s resume as one of a handful of the very best returning players in the Great Northwest Athletic Conference (14.4 ppg, 6.1 rpg last season) speaks for itself. Yet certain aspects of Swant’s game as a Clan freshman, like her ball-handling and her long-range shooting, were also described as raw. The point here, is that a Clan program which returns just six players who suited up for the team last season, has found a player any basketball expert will tell you has tremendous upside for improvement. As well, there is an essential beginner’s mind-attitude included as part of the package. Whether she takes a redshirt this coming season, or she jumps right into the fray, Sophie Klassen seems to be cut from the same piece of basketball leather as Sophie Swant. And that means some of the best moments ahead could come in practice with the team’s lone senior taking the freshman under her wing. Making the conference playoff tournament last season on the heels of a 9-11 GNAC record was an accomplishment for a young Clan team which played its entire season with just eight players. So yes, a five -player incoming class and the return from injury of 2016-17 conference Freshman of the Year Ozi Nwabuko is huge. Yet the veteran core — Swant, Nicole Vander Helm, Jessica Jones, Claudia Hart, Tayler Drynan, Kendal Sands — is not as deep as originally thought. And that’s because during the off-season, rising senior forward Tayla Jackson and rising junior guard Tia Tsang elected not to return. Langford confirmed last week that both players would not be returning, and said “Both felt that their priorities were changed, and in their best interest, leaving basketball better met their future goals. The roster’s evolving landscape, thus, is filled with opportunity and for a player still relatively new to the game like Klassen, it’s an ideal situation. Sophie Klassen wasn’t born into the game like so many others, and as she finds success at each level of the game these days, her thoughts have a fresh-take feel. 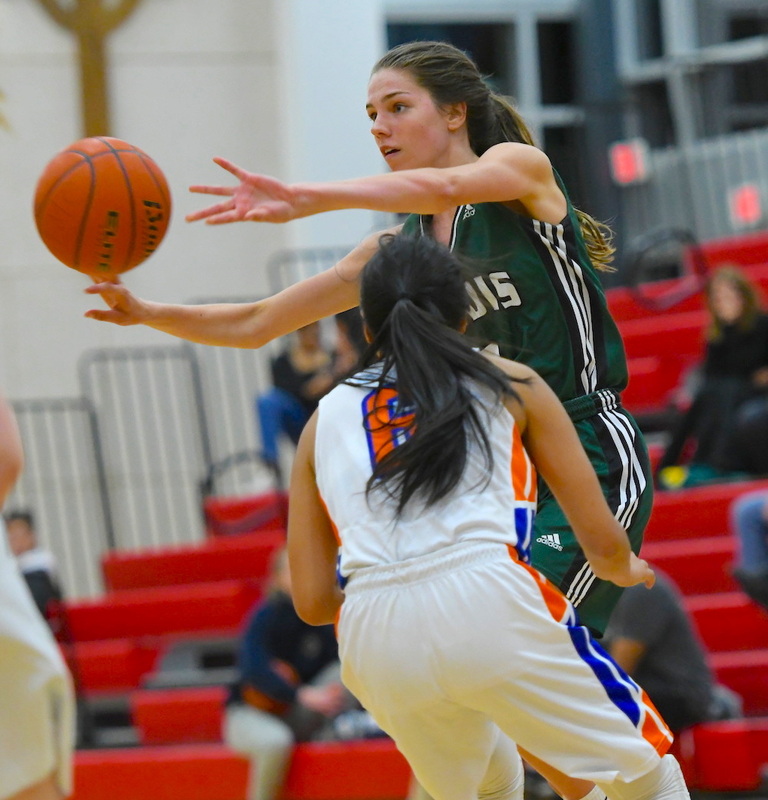 “I really didn’t focus on basketball until high school, so for me there has been a lot of growth over a real short period of time,” says Klassen, who this past season averaged 27 points, 9.7 rebounds, 2.5 steals and 1.8 blocks per game for the Falcons. And when Klassen references high school, she’s talking a season later than most, coming from a district with middle school grades. Her main focus through the 10th grade was on the ice where she played defence on a rep hockey team. However in the spring of 2016, she tried out for a spot with the club program B.C.’s Finest and made their ‘B’ team. 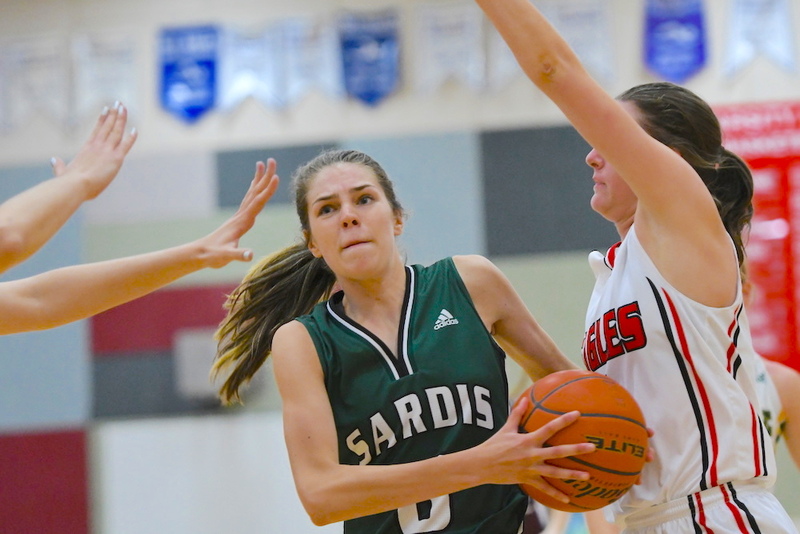 Basketball became serious from that point forward, and in addition to playing for head coach Gina Graves as a senior varsity player the past few seasons at Sardis, Klassen made the B.C.’s Finest elite team during her Grade 11 year. The commitment she has shown to basketball over this most recent window has been impressive, and it has included demanding training sessions with former Elgin Park and Seattle University star guard Elle Kerfoot at her EK Hoops training facility in Cloverdale. Langford used the term ‘raw’ and it’s easily the most accurate way to speak towards the potential Klassen brings into the program. “Kleindienst was a 13.5,” Langford replies, referencing the great Canadian national team point guard Teresa Gabriele who was Teresa Kleindienst when she played at Simon Fraser. Nothing is ever guaranteed, and underdogs always have the toughest of roads. Yet if you connect all the dots, you know that Sophie Klassen will hit the ground running and never give anything less than her best.